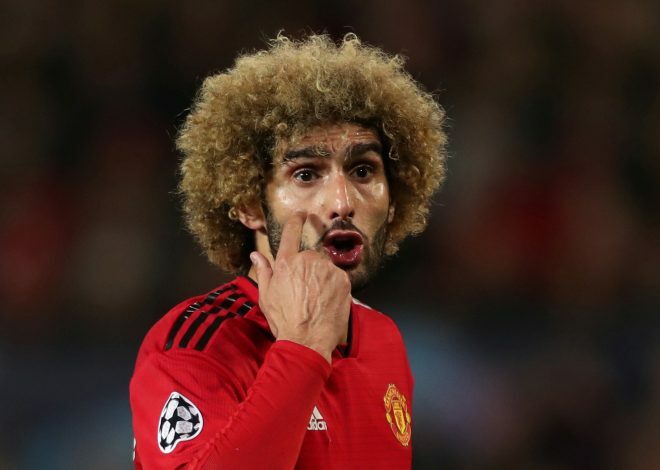 Manchester United midfielder Marouane Fellaini has managed to shock the entire footballing world – not through his on-field antics, but by taking a drastic step off it. The Belgian international has shaved off his iconic afro – the hairstyle he was famous for amongst the followers of the game. Naturally, fans and footballers alike had a lot to say about this update on social media. Several of his fellow club and international teammates, including the likes of Eric Bailly, Romelu Lukaku, and Vincent Kompany, made sure to drop their comments on Fellaini’s Instagram post. Along with his teammates, other celebrities were also seen joining the party, including football freestyler Soufiane Touzani and Indian cricket player Yuvraj Singh. What do you think about Fellaini’s new look?